All vehicle manufacturers recommend that certain service be performed at a given mileage or time in order to maintain your warranty. This schedule may not apply to all vehicles - as manufacturers vary to required service, time intervals, etc. 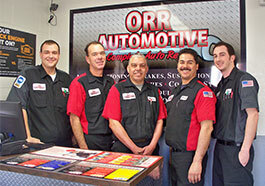 Our maintenance service meets or exceeds most manufacturers requirements and keeps your warranty valid. Refer to your vehicle manual.